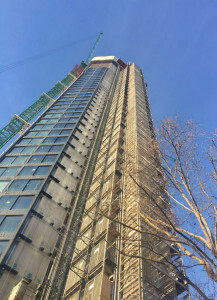 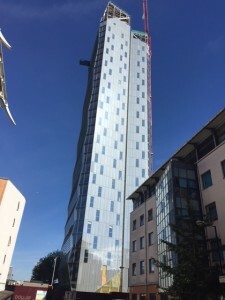 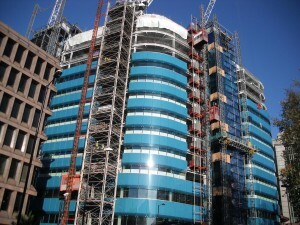 How do you solve the high rise construction dilemma of maximising access for personnel and materials whilst minimising the impact on the building? 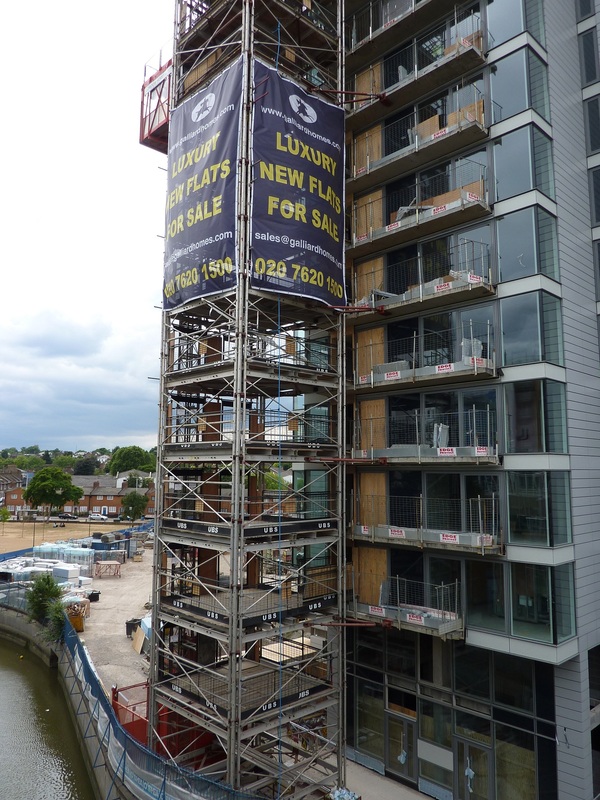 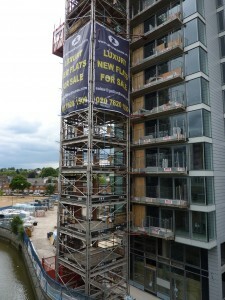 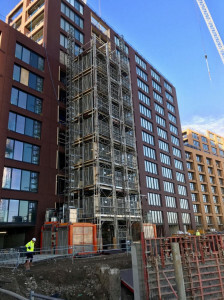 UBS Common Towers allow comprehensive hoisting facilities to be installed on new build and renovation projects with minimum interference to the construction programme. 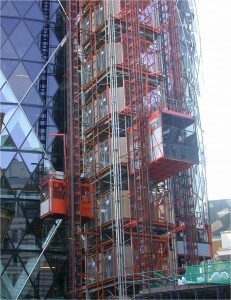 Hoists of all types can be tied to and grouped around the Common Tower structures. 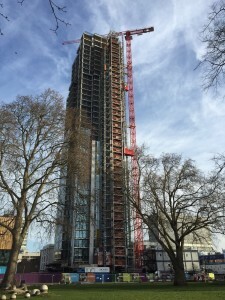 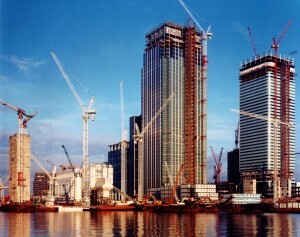 The use of Common Towers maximises the capability for increased access whilst minimising the quantity and size of openings into the building. 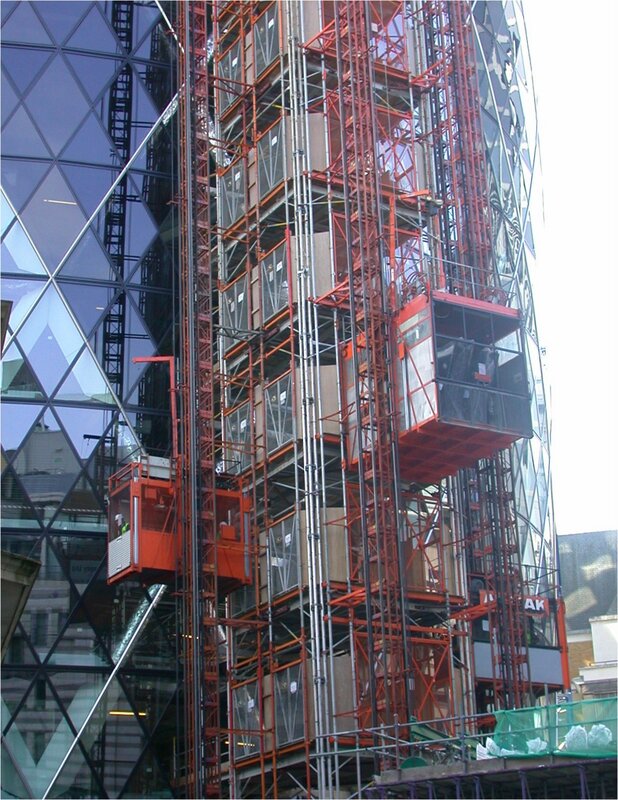 Aluminium components allow assembly into Common Tower and run back structures for the safe transfer of personnel and materials. 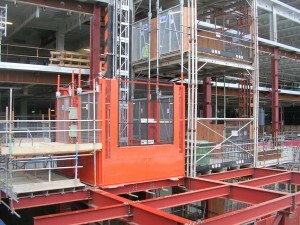 Allows concentration of hoisting facilities into one common structure permitting maximum utilisation of mechanised handling facilities. 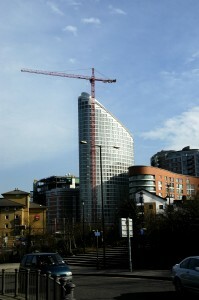 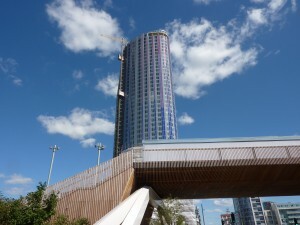 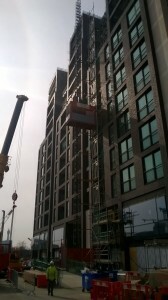 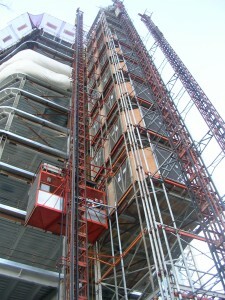 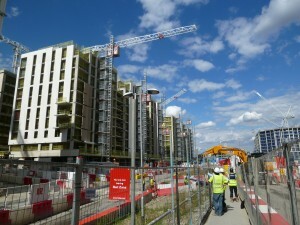 Reduces the number of cladding panels left out for access. 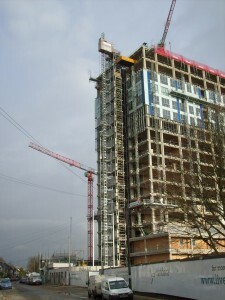 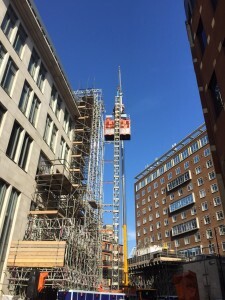 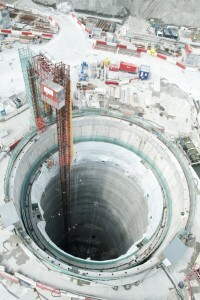 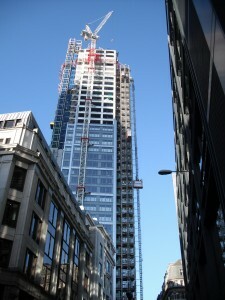 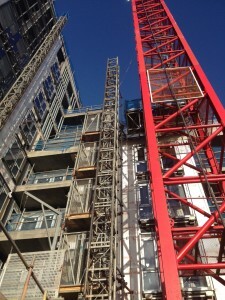 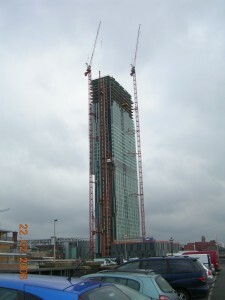 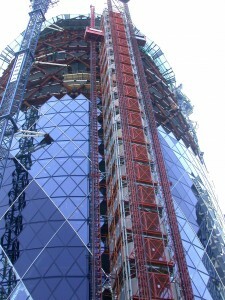 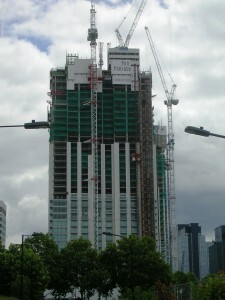 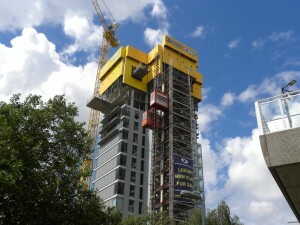 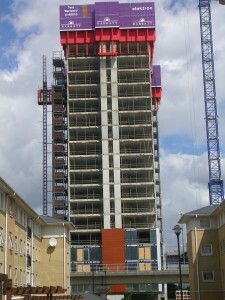 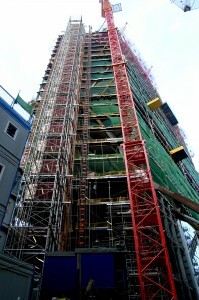 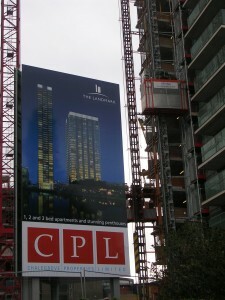 An example of how the common tower system can solve a hoist and access problem in a difficult site location is shown in the Seager Tower Project.